Traumatic brain injuries (TBIs) affect millions of Americans every year. The latest Centers for Disease Control and Prevention statistics show that in 2013, there were 2.5 million TBI diagnoses in emergency rooms across the country, and over 280,000 people were hospitalized as a result. The long-term consequences of TBIs can be severe, but there’s one facet of these devastating injuries that few people are talking about: the effect that a TBI has on the ability of victims to get a good night’s sleep. Though the reason that we sleep hasn’t been fully discovered, one thing that science and medicine agree on is that sleep is a vital function to our health and well-being. It provides a necessary downtime that our bodies need to rest and recharge, and the consequences of sleep deprivation can be devastating on their own, even without a TBI to contend with. With a TBI, the ability to get a good night’s rest may become even more critical for the healing process, yet sleep disturbances after a TBI are under-reported and undiagnosed in many cases. Insomnia. Victims of TBIs may have trouble either falling asleep, staying asleep through the night, or find themselves unable to achieve sleep that is truly restful. Narcolepsy. Narcolepsy is a rare condition in which sufferers may fall asleep spontaneously or at inappropriate times. Those with narcolepsy may experience sleep-induced hallucinations and even temporary paralysis as the body uncontrollably enters sleep throughout the day. Excessive drowsiness. Many TBI victims may find it extremely difficult to stay awake during the day, regardless of whether they suffer from insomnia. Sleep phase syndromes. 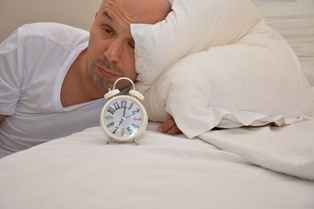 A delayed sleep phase syndrome can cause a TBI sufferer’s “sleep schedule” to shift uncontrollably as they alternate between sleeping through the day or sleeping through the night. This can be a particular challenge for some TBI victims, as it can leave him or her socially isolated and cause a feeling of loneliness or depression. Another issue with TBI victims can be sleep apnea, a condition in which sufferers will stop breathing for short periods of time during sleep. This can interrupt deep sleep, reducing the overall quality of sleep that the victims can get. Other factors, including chronic pain, depression and other mood disorders, and even certain medications can all have a negative effect on sleep quality for a TBI victim. First and most importantly, you should talk to your doctor if you are experiencing sleep-related symptoms after your accident. Many TBI victims may not think to associate their sleeping troubles with their injury, and that can be a real mistake. Not only may your doctor be able to help you with your symptoms, but your sleep issues may serve as a valuable point of information in your overall treatment plan. Consulting with your doctor about your sleep disturbances can also help you build a paper trail in your medical records for your injury suit against the person or parties that caused your injury. If the injury significantly altered your ability to sleep, you may be able to seek additional compensation. Your personal injury attorney can help you decide on the best legal course of action. If you have suffered a TBI as a result of someone’s negligence or wrongdoing, including car accidents, motorcycle or bicycle accidents, accidents involving commercial trucks, or even a boating accident, get legal help today. An attorney who has experience dealing with TBI cases can help you seek the compensation that you may be owed for your injury. To talk to an experienced personal injury lawyer, contact the Law Office of Kenneth E. Berger. We will be there with you through the entire legal process so that you can focus on the most important task ahead of you—getting better. Call us by phone, use the live chat box, or contact us by email to arrange a free consultation with a legal professional today. We proudly serve the Myrtle Beach, Sumter, and Florence areas, as well as the entire state of South Carolina.